Can a contact who has opted out opt back in? Yes, if a contact has a bulk email status of Transactional Only (a.k.a., opted out) and fills out any Smart Form, they'll be opted back in. If you have the Smart Form set to double opt-in required or optional, they'll be sent a new confirmation email that will contain the confirmation link to opt back in. Contacts are automatically added to Groups when any data or Field in the record of a contact matches the criteria of any existing Group you've created. You don’t drag and drop or add contacts manually to Groups as you would in a lot of list-driven programs because ONTRAPORT is database driven. Deleting a contact from a Group deletes them from your database entirely however deleting a Group will not delete the contacts within. Can I edit Tag names? Yes, navigate to Contacts > Settings > Manage Tags and select the tag to edit. Click Save and the Tag is renamed. This propagates the new name throughout ONTRAPORT, Rules, Sequences, Tasks, etc. However, be aware that any external services using Tags will have to be updated. Can I create one contact in place of several related contacts? You could, but it might be a better idea to create a Group that includes all these contacts. That way, communications for each contact are still being sorted appropriately. What you could do is create a Custom Field called 'Organization'. This could be a company name, non profit group, etc. You could then create a group for each organization. This way you can quickly see which contacts are members of each. Tags identify contacts based on any criteria you want. The action of adding or removing a Tag, even by an automation element like a Campaign, can itself trigger other automation in ONTRAPORT. Tags are an extremely powerful way of identifying contacts and have virtually unlimited uses. Groups, on the other hand, are essentially like setting up a quick search. A Group allows you to filter your contact list based on one or more fields (including the 'Contact Tags' Field). You can create a group based on the value of a field, such as 'State equals California' or 'Tag equals prospect'. each. How do I automate list segmentation? An ideal way to do this is to create a Group based on a specific Contact Tag and then add an Change Tags action element that automatically tags your contacts which, in turn drops them into the proper Group. Tags can added using Global Rules, Tags on Form Submissions, Sequence rule steps and form rules. I accidentally deleted my contacts! What do I do? We offer account rollbacks. Please contact our customer support and let them know all the details including the date and time you’d like the account reverted back to. Be sure to note your time zone. How do I automatically filter or track contacts who have not opened any email message in x days? We'd recommend building a Campaign! Check out this FAQ for detailed instructions. Can you track the location of a person that fills out a form based on a customer's IP address? Yes, we have Geolocation tracking based on IP addresses. When someone fills out a Smart Form, ONTRAPORT automatically tracks the city, state, zip code and country of the form fillout. Since it's based on an IP address, the city and zip code may not be 100% accurate as a person's IP address is based on the location of their internet hub. If you'd like us to take off the Geolocation tracking, just give our support team a call and they can remove it. 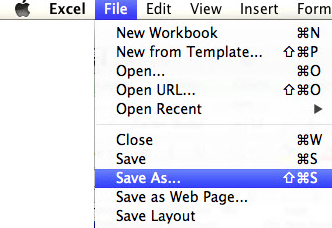 Why do my exported .csv files have funny characters? 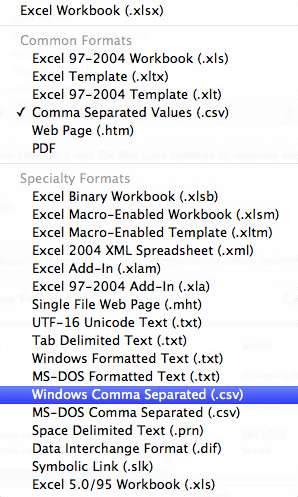 How do I save my .csv Excel file on a Mac? I have a question not answered here. Where can I get a quick answer? During support hours, click the question mark icon in the lower right of your account and select the Chat link to ask one of our support representatives. If you cannot access your account, go to support.ontraport.com and click the Chat link in the upper right. You may also visit our Q&A Forum for quick answers from our community of clients and Certified Consultants. I noticed that the CSV files I import and the ones that ONTRAPORT creates when I export Contacts are saved. How long are they kept? ONTRAPORT stores the CSV files for 60 days, then deletes them. You can find the files you uploaded in the Contacts > Settings > Import Contacts section, and the CSV files created when you export Contacts in Contacts > Settings > Exported Lists. If you want them available for longer than 60 days make sure you archive a copy on your local computer. How do I display contacts with specific tags?